Your favorite films from Hollywood and Bollywood have been shot at the City Palace, as well as advertisement films, radio, and television shoots. Well-known films include Sabse Bada Khiladi (1995), Na Tum Jaano Na Hum (2002), Umrao Jaan (2006), Bhool Bhulaiyaa (2007), Eklavya (2007), Veer (2010), Bol Bachchan(2012), Khoobsurat (2014) and Kung Fu Yoga(2017). Well known advertisements include the Brad Pitt Nokia ad, Aamir Khan Titan ad, IPL Rajasthan Royals team ad, Louis Vuitton ad, and others. We are also a popular destination for photo shoots. We welcome enquiries for both day and night time for shoots. Please write to us on durgadiya@royaljaipur.in with your name, contact number, email address and requirements to receive a callback from us. We can help you host the perfect meal at the elegant and newly refurbished Baradari Restaurant, re-designed by Studio Lotus, one of the leading design practices in India, where we serve sumptuous and delectable Indian and international cuisine. We can also host splendid lunches and dinners at the City Palace, with a grand arrival, welcomed by horses, elephants, camels and a glass of champagne. We can also include live music and dance entertainment. Please write to us on baradari@royaljaipur.in with your name, contact number, email address and requirements to receive a callback from us. The City Palace has been the venue for a number of historic events, and we continue to be an exclusive venue today. We have several historic royal spaces that could be the setting for your perfect day, and we also organize gala events such as traditional processions and elephant parades for special occasions. Our palaces are ideal for royal weddings, but we can also host the perfect intimate evening. Catering is available for events and meetings of all sizes from our on-site kitchen. We also welcome other catering companies (subject to approval). The table below indicates the maximum capacity for our venues. Booking an event with us is an unforgettable experience. We share with you the rare privilege and responsibility of hosting an event at the heart of Royal Jaipur, showcasing over 300 years of history. Please write to us on durgadiya@royaljaipur.in with your name, contact number, email address and requirements to receive a callback from us. Kachhwaha Maharanis were memorialised only after the founding of Jaipur in 1727, when they were assigned their own site outside Zorawar Singh Pol, on the road to Amber. They were similar in pattern to the Maharajas’ and are also called chhatris. The long, elegant screen facing the main road and serving as the point of entry, was added in the late 19th century. The cremation grounds are managed by the MSMS II Museum Trust. The site where a Maharaja is cremated is often marked by a cenotaph, which takes the form of a domed pavilion. They are popularly known as ‘chhatri’ (literally meaning ‘umbrella’) both because of their shape and because an umbrella is a symbol of royalty. From the early 18th century up to the present, the Maharajas of Jaipur were cremated at Gaitore, at the northern edge of Jaipur city. Despite its solemn purpose, the site has a picturesque setting and contains some of the best examples of ornamental architecture in the region. The cremation ground is managed by the MSMS II Museum Trust. The oldest group of cenotaphs (or chhatris) of the Kachhwaha rulers lies in the city of Amber: this is where the Maharajas were cremated during the 16th and 17th centuries, before the transfer of the capital to Jaipur. Along with some fine temples, water tanks and a mosque close by, these cenotaphs are among the many ruins of the old city that can be explored on foot. From ancient to modern times, the story of the desert lands of Rajasthan has, in reality been the story of water. A land with practically no water evolved a culture around it that sustained life in the most inhospitable terrain for centuries; a place with little or no clouds has many names for it. The colonial approach changed the local water culture to an extractive system that turned water into a commodity for state and private benefit, which continues till today. 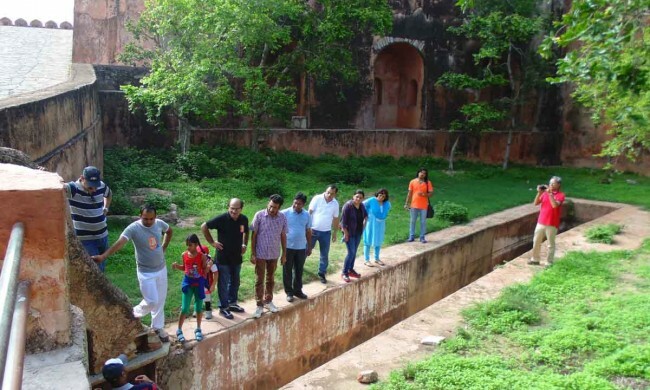 The Jaigarh water walk explores the hydrological innovations of the mid-18th century that made a hill fort in the deserts of Rajasthan habitable and sustainable. With a catchment area that extends more than 4 kms from the fort, a network of drains, small canals and their arteries harvests rainwater from the higher reaches of the hills. Combined with the rainwater harvested within the fort, and the careful storage of water within the fort in several tanks, almost 6 million litres of water can be retained within its walls. Water is the elixir of life, nowhere more than in Rajasthan. The Water Heritage Walk is 2 hours long and should ideally be undertaken in the early hours of the morning. It involves a walk of about 2 kms and drive of about 2 kms. However, it can be customized (both in terms of duration and time of the day) by prior agreement between the resource person and the visitor. Please check tickets and timings for more information. The collections on display in the Fort include weapons of war and a remarkably preserved gun foundry, along with instruments that were used in it. The most famous product of the foundry, the massive cannon called Jaivan, can be seen in the southern bastion. There is also a display of old palkis in the palace apartments. From the ramparts of the Fort are stunning views of the valley and old city of Amber, with its temples and lakes. You can also see the Palace of Amber from above. The Fort is connected to the Palace by an old secret passage that is part tunnel and part covered walkway, which can be accessed today from either end. The Guards’ Gallery in Jaleb Chowk in Jaigarh is the venue for a permanent exhibition of photographs titled WAR & PEACE which offers a glimpse into the distinguished military and diplomatic careers of two of Jaipur’s Maharajas in the 20th century, H.H. Maharaja Sawai Man Singh II (1911-70) and H.H. Maharaja Sawai Bhawani Singh (1931-2011). Gangaur is especially important to maidens and married women. Women worship images of Gauri (a form of the Goddess Parvati) inside their homes just after Holi, praying for marital happiness and prosperity (maidens pray for a good husband). They sing devotional songs and dance to the accompaniment of musical instruments for sixteen days. The Royal House of Jaipur maintains the age-old tradition of worshipping Gauri. Although traditionally celebrated inside the Zenana, visitors are given a glimpse of the festivities at the Sarvato Bhadra. The festival is called Gangaur because Gan or Shiva is celebrated by association. Makar Sankranti marks the beginning of the changing seasons, from winter to spring, celebrated by enthusiastic kite-flying. From 12–14 January every year, the 19th century kite and thread used by Maharaja Sawai Ram Singh II are displayed at the Sarvato Bhadra, and its roof is opened to everyone to fly kites which the Museum provides. Til ke laddu (traditional sesame-seed sweets) and dal ke pakode (fried lentil dumplings) are also served. Diwali falls on the darkest night of amavasya or lunar eclipse in the month of Kartik, marking the return of Rama, the hero of the Hindu epic Ramayana, after fourteen years of exile. Known as the festival of lights, and symbolic of the return of prosperity, the Maharaja worships Lakshmi, the goddess of abundance, wearing traditional attire. The whole palace is decorated with beautiful lights meant to welcome the Goddess, and invoking the power of light to drive away the dark forces of evil and ignorance. Dushera (Vijayadashmi) celebrates the triumph of good over evil. Falling on the tenth day of the full moon in the month of Ashvin, it commemorates the Hindu god Rama’s defeat of Ravana as well as the goddess Durga’s defeat of the buffalo-headed demon Mahisasur. As this day is known as the day of victory, the Maharaja of Jaipur worships the traditional tools or accessories to victory for the warrior Rajput: weapons and vehicles like the bullock, horse, elephant, palanquin, and rath. Afterwards, a grand procession goes to the to Dushera Kothi at Amber Road, where the Maharaja worships the Shami tree. Every month the Museum offers free gallery talks with Museum admission for all visitors. We invite a range of people to bring their unique perspectives, and deliver talks based on the history, architecture and collections of the City Palace. Invitees include scholars, specialists and volunteers. The talks are usually scheduled on weekends in the evenings, to make it convenient for office-goers to attend. Visitors are also encouraged to share their observations and interpretations during the course of the talk. Please join our mailing list, follow us on Facebook, or check the News page to know when the next talk is scheduled! We have lots to offer visitors of all ages throughout the year! For young visitors, we have specially designed activity booklet packs for three age groups (8-9, 10-11, 12-13). Each pack contains two booklets, one exploring the new Painting & Photography Gallery, and the second covering the rest of the Museum complex. The packs can be used by both family or school groups. They encourage direct experience of the buildings and collections, engaging one’s senses and emotions. With over 7866 hand-written manuscripts and more than 225 traditional style maps, the Pothikhana archives of the MSMS II Museum are regarded as one of the best in India. The maps in the Pothikhana are mainly hand-drawn and illustrated sheets of varying sizes. These traditional examples of cartography cover places of pilgrimage, local geographical features, and mythical as well as real city-scapes. We also have over 15,000 books and journals housed in the open-shelf general collection of the Museum’s Library Reading-Room. Both the Archive and Library and open to scholars and researchers by prior appointment. Please see our Research pages for more information. 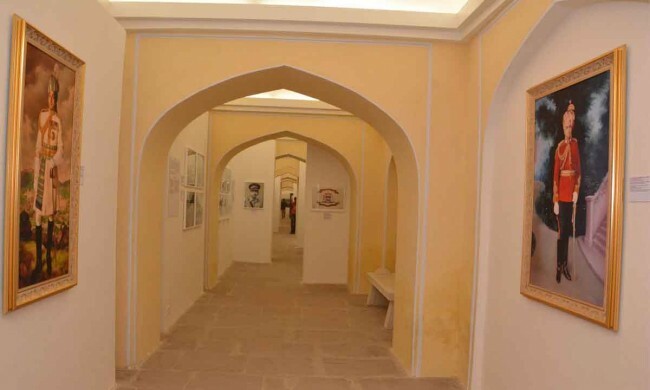 Painting and Photography at the Jaipur Court is a new exhibition in the Maharaja Sawai Bhawani Singh building showcasing the Museum’s world-famous collection of visual art. Spanning the 18th to 20th centuries, highlights include the Hindu mythological illustrated manuscript series of the Durga Saptashati and Bhagvata Puran and the classic themes of the Ragamala, Krishna Leela, and portraits. It also showcases the photographic treasures of the collection consisting of images by Maharaja Sawai Ram Singh II and his contemporaries. Apart from these the Museum also houses nationally important collections of manuscripts, carpets, decorative arts, and maps and plans, currently held in reserve. If you would like to undertake research on any of our collections, we welcome enquiries. Please see our page on Research. The Sileh Khana displays the royal collection of arms and armour, including swords, shields, axes, bows and arrows, daggers, chain armour, goads, maces, firearms and gun powder containers. Highlights include the weapons of notable historical personalities such as the Mughal Emperors Jahangir and Shah Jahan with inscriptions on them. The hall itself is glorious, with stunning ceiling murals and was originally named the Anand Mandir or abode of pleasure, meant for entertainments. The Sabha Niwas was the throne room of Jaipur state, designed for ceremonial assemblies by the ruling Maharaja for Thakurs (nobles), court officials and visiting dignitaries. Here, the Jaipur court used to receive emissaries from other Indian states and – in later times – British Viceroys and Residents. The period room showcases original furniture, artworks, lights and a special display of ceremonial garments and medals. The Baggi Khana just outside is meant to showcase highlights from the transports in the collection. It will be under renovation in 2016. The Sarvato Bhadra is a vast open pavilion with stout stone columns, and was the real power centre of the court where the Maharajas conferred in council with their courtiers, ministers and nobles on the critical issues confronting their kingdom. At present two magnificent silver urns also known as Gangajalis (recorded in the Guinness Book of World Records) are displayed here as major exhibits. The space is otherwise maintained for its traditional use as the centre of ritual and festival, which visitors can also participate in. See what Festivals are celebrated at the City Palace so you can plan your visit! The Textile gallery is in the ground floor of the Mubarak Mahal, a place built to receive royal guests. The gallery acquaints visitors with the rich tradition of Indian textiles, as commissioned and collected by the Jaipur Court, through varied specimens of fabric as well as costumes from the last three centuries. The Museum has just published Textiles and Garments at the Jaipur Court authored by the textile historian Rahul Jain, recognized with a Padma Shri in 2015 by the Government of India for his professional contributions. ‘Royal Grandeur’ is an exclusive tour that will reveal the most spectacular and private areas of the palace. During the tour, you will be escorted around the seven-storeyed Chandra Mahal, the primary residence of the Maharajas of Jaipur within the City Palace. It contains the grand Sukh Niwas apartments, completely covered in wall paintings and filled with furniture and artworks from around the world, still used for entertaining special guests. The other apartments include the Sri Niwas, decorated with mirror work and painted plaster, and the superbly decorated Shobha Niwas, where the royal family still celebrate Diwali. At the summit is the Mukut Mandir pavilion, from where the Jaipur state flag is flown every day. On one side is a view over the private palace gardens to the hills between Jaipur and Amber; while on the other side you can see the many courtyards and terraces of the Zenana Deodhi, where the royal women lived. Jaipur City Palace, by Vibhuti Sachdev &; Giles Tillotson, Roli Books, New Delhi, 2008. Teej marks the arrival of the rainy season, bringing relief to the parched land and brings special joy to women and girls who sing and dance in praise of Parvati, worshipping her for her devotion to her husband Shiva, and praying for the well-being of their own. Women associate this festival with rituals of swinging in the rain, singing folk songs, decorating their palms by applying mehendi, dressing in their best clothes and jewelry, and feasting. In Jaipur an idol of Goddess Parvati is taken out in royal procession from the City Palace, after she is first worshipped in the Zenana or women’s courtyard by the royal women. This grand spectacle consists of antique palanquins, cannons on wheels drawn by bullocks, chariots, gaily decorated elephants, horses, camels, brass bands and groups of dancers. Men dressed in red carry the palanquin of the Goddess. The Museum holds over 25,000 works of art that range from world-famous paintings to carpets and from arms to silverware. The display areas for collections are currently five galleries, which includes a new one dedicated to the painting and photography collections, opened in September 2015. It marks the first stage in the implementation of a Strategic Plan that will run for an estimated five years. The Strategic Plan process will see all the galleries renovated, the addition of substantial new exhibition spaces to share collections held in reserve, as well as modern conservation labs, temporary exhibition spaces, and improved facilities for staff, researchers, and visitors. Baradari Restaurant is the latest in a series of initiatives by the Royal Family to improve the visitor experience to the City Palace. Recently renovated by Studio Lotus, one of India’s leading design practices, it wraps around the courtyard of what was once the historic service court of the City Palace. With cooling water cascades and an elegant bar that plays with the traditional form of baradari (a columned, open pavilion), it is the perfect place to conclude a visit to the Museum, or to host a meal. It serves sumptuous Indian and international cuisine in elegant surroundings and also runs a Snack Bar for the convenience of visitors who wish to grab a meal on-the-go. Durga Diya Enterprises, an event management company owned by the Royal Family of Jaipur, was established with experts and professionals in the field of art, culture and gastronomy. We create a perfect blend of these aspects to create unique themed events at our locations in the City Palace, Rajmahal Palace and Jaigarh. We would be delighted to help you plan the perfect event or host a meal at any of our venues, and to help you craft your dream event. Maharaja Sawai Bhawani Singh School was established in 2007 by the MSMS II Museum Trust with Princess Diya Kumari as its Founder Director and Mrs Vaidehi Singh as the founder Principal. It is a co-educational, English medium Senior Secondary School, with a current strength of 1356 students and 80 teachers. Within a short span of 9 years MSBSS has carved a niche for itself in the educational milieu of Jaipur. Set in 9 acres of lush green fields, the school is equipped with all modern amenities and provides excellent facilities for the all-round development of children. An integrated child-centered curriculum is followed to meet the challenges of tomorrow with equal emphasis on intellectual, emotional and spiritual aspects of a child’s growth. The Jaipur court has a long tradition of enjoyment, engagement and support of the arts, including the ‘intangibles’ that are music, dance, drama and literature. The Gunijankhana was a karkhana or department dedicated to these, founded as early as the 16th century during the rule of Maharaja Ram Singh I. It flourished for four hundred years, until Indian independence in 1947, when the various departments of Jaipur State were dissolved or reorganized based on the needs of the time. Today, under the leadership of Princess Diya Kumari, we have rekindled a tradition and re-established the Gunijankhana in a modern avatar. Our vision is to transform cultural performances into life experiences, beyond the stage. Gunijankhana aims to provide opportunities for cultural, educational, and economic engagement by showcasing national and international performing artists, thus enhancing and expanding the socio-cultural fabric of the region. By providing immersive experiences through live performance and learning opportunities, we seek to inspire modern audiences with an appreciation of culture. Our venues include the City Palace Jaipur, including the magical Badal Mahal pavilion looking out over Talkatora Lake, and Jaigarh. Follow us on Facebook to stay in touch and receive updates or check the News page to find out about the latest at the Gunijankhana. We aim to further relationships and create an international platform to foster, develop and promote global arts & culture and bring it to the people of Jaipur. Towards these efforts, we regularly organise cultural and international events in partnership with a variety of organisations. Previous partners have included the embassies of Japan, Italy, France, Australia, Germany and Austria. Princess Diya Kumari established the Princess Diya Kumari Foundation Society in order to work at a grass-roots level for sustainable empowerment, engagement, enrichment and involvement of deprived communities & sections of society in Rajasthan, with a special focus on women. The Foundation seeks to improve lives through the generation of sustainable livelihood programs that better standards of living, and create a healthier and sustainable socio-economic environment. The Jaigarh Public Charitable Trust is responsible for Jaigarh, the fort founded in the 11th century for the protection of the city of Amber, nestled on the hill below it. The Trust was founded in 1982 by Brigadier Maharaja Sawai Bhawani Singh, continuing the tradition started by his father Maharaja Sawai Man Singh II, of opening up Jaipur’s historic royal properties for public benefit. 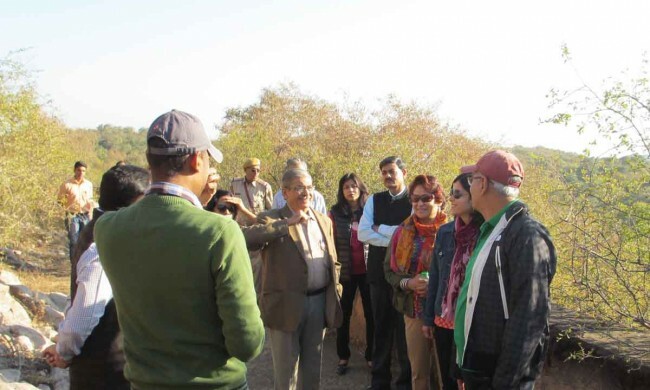 The Trust has an ambitious mandate that includes the preservation and promotion of Jaigarh and its collections; running the site as a museum; encouraging research on archaeology, metallurgy and other areas connected with the collections; and medical and poverty relief. The Maharaja Sawai Man Singh II Museum Trust is responsible for one of the premier palace museums in India, with buildings and collections of national importance, collected and commissioned over the centuries by the Kachhwaha rulers of Amber and Jaipur. It is also responsible for the royal chhatris or cenotaphs. The Museum began during the reign of Maharaja Sawai Man Singh II in 1952, when the Silehkhana and an Art Gallery were opened to the public. At that time, a turban or pagri was a part of the entrance requirement for male visitors, as wearing one was the contemporary etiquette of the Palace. 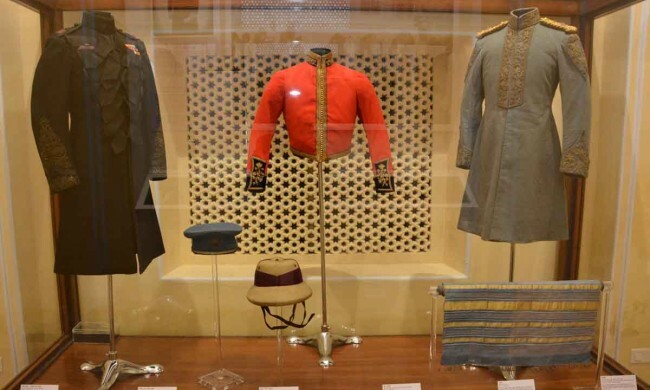 In 1959, a Textile and Costume gallery was added, and the Museum was formally named the Maharaja of Jaipur Museum. In 1972, after the death of Maharaja Sawai Man Singh II, his son and successor Brigadier Maharaja Sawai Bhawani Singh reorganised the museum to expand the collections and buildings, and renamed both the Museum and its managing Trust in honour of his father. The mandate of the Trust is to protect, promote and preserve the Museum’s collections for the benefit of the people of Jaipur and visitors from all over India and the world. It seeks to promote study and research through its collections in the fields of literature, history, science, the arts and architecture, among others, and especially the art and craft of Jaipur. The Trust also supports an annual Awards programme honouring individual contributions to society on the occasion of the birthday of Maharaja Sawai Bhawani Singh. To find out more about the Awards, including the list of awards, awardees, and how to nominate someone visit our Awards page. A summer retreat, Jaipur House in Mount Abu was built in 1897 to provide the royal family an escape from the burning heat of the plains. As a hill station, Mount Abu was favoured by several of the royal families of Rajasthan, because of its pleasant climate and beautiful scenery, and because of its religious importance as a centre of pilgrimage for the Jain community. Jaipur House, a luxurious getaway that overlooks the cool waters of Nakki Lake, is currently run as a heritage hotel. Situated to the south-west of the old walled city, the spacious property now known as Rajmahal was originally a garden palace, built in the 18th century, possibly for one of the royal women. The garden wall, the grand northern entrance gate and the four corner pavilions still survive but the original palace has long since been replaced with newer buildings. In the early 19th century the property was loaned to the British to serve as the Residency, where the representative of the colonial power had both his home and his office. Rebuilt and expanded over time, the palace continued in this use right up until Indian Independence in 1947, when it was once again taken in hand by the Jaipur royal family. After the conversion of the Rambagh (another garden palace) into a hotel in 1953, Rajmahal became one of the family’s principal residences. Today it is run as an exclusive hotel by the Sujan group. This military fort is part of the royal complex at Amber and was the final redoubt for Amber city. While the Amber fort-palace (now in the care of the Department of Archaeology, Government of Rajasthan) lies on the slope of the hill, the vast fort of Jaigarh straddles the summit and is connected to it by a special walkway that is open to the public. The oldest part of the fort, at the southern end, houses the cannon known as Jaivan, the world’s largest cannon on wheels. The northern end of the fort contains palace apartments that were added in the 18th century by Maharaja Sawai Jai Singh II. The famous gun foundry is also located there. In between is Jaleb Chowk or the guards’ court, a further court with a huge covered water cistern that is the start of a fascinating journey into ancient waterworks. The fort is owned by the Jaipur royal family and is administered by Jaigarh Public Charitable Trust. It is also connected to another fort, Nahargarh, by a road that runs along the ridge of the hills. The City Palace in Jaipur is spread out over a series of courtyards. It was founded in 1727 by Maharaja Sawai Jai Singh II as part of his ambitious city project, and his successors continued to ornament and add to the elegant buildings up until the 20th century. The palace has always been much more than the grand residence of a royal family. It was also, from the start, a centre of patronage of the arts and of learning, and with its many temples, it is also a place of ritual and worship. On important festival days such as Gangaur and Teej, the procession of the image of the Goddess through the streets unites the City Palace and the people of the city in shared celebrations. Today, the palace has thrown open its exclusive spaces to the public through the Maharaja Sawai Man Singh II Museum Trust, welcoming domestic and international visitors from far and wide. The City Palace remains at the heart of religious and ritual celebrations at Jaipur. Visitors have the opportunity to experience and participate in the annual calendar of festivals, as part of the living heritage of the Museum. Close this popup and click on any of the festival images to read more about each, and find out what time of year they occur so that you can plan your visit! Because festivals follow the lunar calendar, the exact dates tend to vary slightly each year, although they occur roughly around the stated months. You can follow us on Facebook to see festival updates and if your appetite is whetted, you may wish to acquire a copy of Festivals at the Jaipur Court by Vibhuti Sachdev, which weaves together objects from across the collection to tell the story of each. It’s available at the Museum Shop along with our other publications, posters, postcards, and souvenirs. Known to most visitors only in its bustling daytime avatar, the Museum at Night offers an exclusive experience of the City Palace at night. The buildings are specially lit, magically transforming the complex, and selected galleries are open for viewing in greater comfort and quietude. The highlight of the experience is the Sculpture Lumière, a spectacle of light and sound created by the world renowned light artist Patrick Rimoux, with an introduction by Shri Amitabh Bachchan and mesmerising music by Rajasthan Roots. The show (approx. 20 minutes long) is both an art experience and informative: it covers the history of Jaipur and its rulers, using images from the Museum collection, video, and kaleidoscopic graphics, all projected on the walls of the Sarvato Bhadra Chowk. The Baradari Restaurant will be open to guests who wish to conclude their evening with an elegant meal. We have a regular programme of gallery talks in the Painting and Photography Gallery and plan to start talks in our other galleries too. We also have a summer workshop programme for people of all ages to explore a variety and arts and craft such as painting, kathak, Hindustani vocal music, instrumental music and many other things, which are especially popular amongst locals. Even members of the Royal Family sign up to learn new things at our workshops! We organise professional and specialist workshops connected with our wider mandate as a Museum, although these have limited participation. We also have a number of lively cultural performances throughout the year, organised by the Gunijankhana at the City Palace. Please join our mailing list, follow us on Facebook, or check the News page to know when the next event is scheduled! H. H. Maharaja Sawai Padmanabh Singh is the elder son of Princess Diya Kumari. H. H. Brigadier Maharaja Sawai Bhawani Singh adopted him as his heir on 22 November 2002 and as per the family tradition, his coronation ceremony was held on 27 April 2011. He is an avid sportsman and equestrian, committed to keeping up the family tradition of playing polo while pursuing his education. Princess Diya Kumari of Jaipur have two sons and a daughter. H. H. Maharaja Sawai Padmanabh Singh is the elder son of Princess Diya Kumari. H. H. Maharaja Lakshraj Prakash, the younger son of Princess Diya Kumari, has succeeded his grandfather H.H. Maharaja Rajendra Prakash of Sirmour. As per the family tradition, his coronation ceremony was held on 15 May 2013. He is currently in school. Their daughter, Princess Gauravi Kumari, is presently studying at New York University. In addition to her academic pursuits, the young Princess takes a great interest in fine arts. Princess Diya Kumari is the daughter and only child of the late Maharaja. She is the driving force in the growth of the Jaipur Royal Family’s legacy; in addition to overseeing the daily functioning of the Trusts, she manages two of the best schools in the city – The Palace School and Maharaja Sawai Bhawani Singh School – and is also an entrepreneur. A dedicated philanthropist who founded the Princess Diya Kumari Foundation to empower the underprivileged, she was elected as Member of the Legislative Assembly of Rajasthan from the constituency of Sawai Madhopur in 2013. H.H. Rajmata Padmini Devi was born as the Princess of Sirmour (in Himachal Pradesh). She married Maharaja Sawai Bhawani Singh in 1966. She is a guiding force for the Maharaja Sawai Man Singh II Museum Trust and takes a keen interest in the social activities and welfare of the people of Jaipur and Rajasthan. His Late Highness Brigadier Maharaja Sawai Bhawani Singh MVC (r. 1970-2011) had a distinguished military and diplomatic career. He was commissioned into the Indian Army in the 3rd Cavalry Regiment as a Second Lieutenant, and in 1954 he was selected for the President’s Bodyguard. In 1971, during the Indo-Pak war he led his Battalion, 10 Para Commando, into action and as a result of his heroic exploits he was decorated with the Mahavir Chakra, the second highest gallantry award of the country. When the Indian Army was in action in Sri Lanka during Operation Pawan, he was asked by the then Prime Minister of India to go to Sri Lanka to boost the morale of his old unit. Consequently, the President of India bestowed upon him the rank of Brigadier for life. It is a very rare distinction for a retired Army Officer to be awarded a promotion. Brigadier Sawai Bhawani Singh had also served as the first Resident High Commissioner to the State of Brunei from July 1993 to January 1997. He founded and ran the Maharaja Sawai Man Singh II Museum Trust and Jaigarh Public Charitable Trust for four decades. H.H. Maharaja Sawai Man Singh II (r. 1922-1970) attended the Royal Military Academy at Woolwich to acquire up-to-date knowledge of modern military science, after which he modernised the Jaipur Armed Forces, establishing the Sawai Man Guards. At the outbreak of World War II, he was one of the first Indian rulers to offer his personal services and those of his forces. They won several medals and distinctions for their valour and attended the Victory Parade in London in 1946. The British Government conferred upon the Maharaja the honorary rank of Major General and subsequently that of Lieutenant General. Maharaja Sawai Man Singh also took a keen interest in polo and his team won many matches including the World Cup Polo in 1957. He was appointed the first Rajpramukh (Governor) of Rajasthan on 30 March 1949. He established the airport at Jaipur, constructed the Lady Willingdon Hospital (today the S.M.S. Hospital). He conceived and compiled ‘A History of the Indian State Forces’ and also commissioned Sir Jadunath Sarkar, a famous scholar, to write a history of Jaipur based on archival records. He married Maharani Marudhar Kanwar (Princess of Jodhpur) in 1924, Maharani Kishore Kanwar (Princess of Jodhpur) in 1932 and Maharani Gayatri Devi (Princess of Cooch Behar) in 1940. In the early 18th century, Maharaja Sawai Jai Singh II (r. 1699-1743) moved the capital, establishing an impeccably planned city, which he named Jaipur after himself. He enlarged and modernised the state and embellished his new city with spacious palaces and gardens. He is especially famous for his work as an astronomer, and for building five observatories (Jantar Mantar), the best-known of which are in Jaipur and Delhi. Prominent among his successors was Maharaja Sawai Madho Singh I (r. 1750-1768) who founded the city of Sawai Madhopur near Ranthambore Fort. Among Sawai Madho Singh’s sons was Maharaja Sawai Pratap Singh (r. 1778-1803) who was a great patron of painting, poetry, music and architecture. In addition to iconic buildings like the Hawa Mahal, his reign witnessed the creation of some of the finest portraits and illustrated manuscripts of Jaipur art, still preserved in the City Palace. Maharaja Sawai Ram Singh II (r. 1835-1880) was a ruler with an enlightened vision and a programme of reform. Just as his forbears had ensured the development of the state through alignment with the Mughals, so Sawai Ram Singh cemented the ties between his state and the British, as they emerged as the central imperial power in India. He introduced many modern innovations including public education through schools and colleges. His idea of developing Jaipur’s commercial arts – launched with the founding of the Jaipur School of Art in 1866 – was carried forward by his successor, Maharaja Sawai Madho Singh II (r. 1880-1922), with the opening of the Albert Hall in 1887. This policy lies at the heart of Jaipur’s economic success even today. The royal family of Jaipur are the leaders of a Rajput clan known as the Kachhwahas, who claim descent from Kush, son of Ram and also from the sun god Surya. Their ancestors established the state in the north-eastern part of the Aravalli Hills a thousand years ago. Originally a small state, it rose to great prominence in the late 16th century, when Raja Man Singh I (r. 1589-1614) wisely entered into political and matrimonial alliances with the Mughal Emperor Akbar. Man Singh’s contributions to imperial conquest and administration gave him a role on a larger Indian stage, while protecting his authority and heritage at home. One of his successors, Raja Jai Singh I (r. 1621-1667) served in a similar way under the later emperors, Shah Jahan and Aurangzeb, while again maintaining secure control over the home state. Man Singh and Jai Singh both ruled from the old capital at Amber creating the beautiful sandstone and marble apartments within the palace. They were also patrons of famous early woks of Hindi poetry such as the Satsai of Bihari. Maharaja Sawai Man Singh II (r. 1922-1949) came to the throne as a minor. After his education and military training in the UK, he set about reforming the Jaipur State Forces. This proved timely, given their participation in World War II, serving in North Africa. In the post-war period, the Maharaja oversaw the transition from monarchy to democracy and the integration of Jaipur into the new state of Rajasthan as a part of the independent Indian union. Today, Jaipur continues to flourish as a centre of arts and crafts and as a celebrated tourist destination. In the early 19th century Jaipur entered into a strategic alliance with the East India Company of Great Britain, and – after the Indian Rebellion of 1857 – with the British Crown. During the period of the British Raj in India, Jaipur was able to position itself as one of the leading autonomous ‘Princely States’, and continued to be ruled by Maharajas and their ministers. Maharaja Sawai Ram Singh II (r. 1835-1880) was a modernizer who established schools and hospitals, introduced street lighting and modern water supply systems, and built roads and railways across the state. He began the process of taking Jaipur’s celebrated arts to the common people, by founding a School of Arts that trained craftsmen to manufacture products that would be affordable to every household. His successor, Maharaja Sawai Madho Singh II (r. 1880-1922) continued this process by opening the Albert Hall Museum in the city, which showcased local products and disseminated knowledge of Jaipur’s arts to visitors and residents alike. From the time of its foundation, the wealth and distinct character of Jaipur has depended on the trades it fostered, notably the jewellery business, and arts and crafts. The main markets and bazaars were constructed at State expense and merchants and bankers from different communities were invited to set up business in the city. Sawai Jai Singh’s successors on the throne of Jaipur continued and expanded this policy. Despite the political upheavals of the late 18th century across northern India, the arts continued to flourish in Jaipur in the reign of Maharaja Sawai Pratap Singh (r. 1778-1803). He was responsible for adding the Hawa Mahal, an iconic feature of the city and one of India’s best-known buildings. The city of Jaipur was founded in 1727 by Maharaja Sawai Jai Singh II (r. 1699-1743), leader of the Kachhwaha clan of Rajputs. In the first part of his reign, like his ancestors before him, Sawai Jai Singh ruled from the old state capital at Amber, five miles to the north. Filled with beautiful temples and palaces and protected by steep hills and fortified walls, Amber is typical of many ancient Rajput strongholds. But as Mughal authority waned, Sawai Jai Singh sought a new site where there would be more room for expansion. He established Jaipur not just as a new capital but as a new kind of royal city: one that was open to trade and to diverse settlers. It is also famous as a rare example of a planned city with the major streets forming a grid.